I’ve heard many a skilled musician perform to show off technical skills. But they haven’t impressed me nearly as much as the musician who is free enough to make their instrument “sing” — who draws the audience into the mood that their sound produces. Such performers have an almost magical quality that invites a person to set the world aside and become immersed in their music. For freelance writers writing web content or press releases for musicians, it helps to identify that quality from the start. A musician can be strong in any one or more of these areas, and this is what a writer needs to identify and focus on. Take Willie Nelson. His uniqueness shows in the tenderness and reality of his compositions, both melodies and lyrics, and in the responsiveness of his backup band. His compositions were so poignant that musicians from everywhere asked if they could perform them and/or if he would write for them. In his backup band, his sister, playing piano, was so attuned to him that her accompaniment sounded like an extension of his voice. 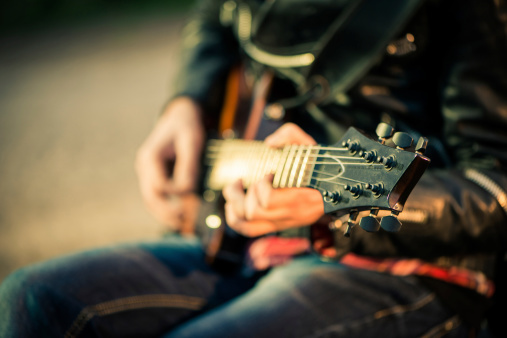 The first task for musician content writers is to look for strengths and put them into words. You’ll need to hear the performer first, so ask for a recording or video. Then look at each of the areas above to see where they excel and find a way to describe them. For their history, look on their current website. For their future, ask about their dreams. Where did they come from and what are they aiming for — not in terms of fame, but of musical expression? Use their own words and background to show their personality, commitment, and passion. If you can find reviews of performances, add the audience’s reaction to lend authenticity. Make sure that what shows through most is who the musician is as a person. You are looking for originality in them, not emulation of others. Don’t exaggerate or gush, since that will taint everything else you’ve written with unreality. Instead, focus on describing the musician’s personality and performance. This will give your copy the strength and authenticity that draws the followers your musician client is hoping for. Susette H is a freelance writer available on WriterAccess, a marketplace where clients and expert writers connect for assignments.